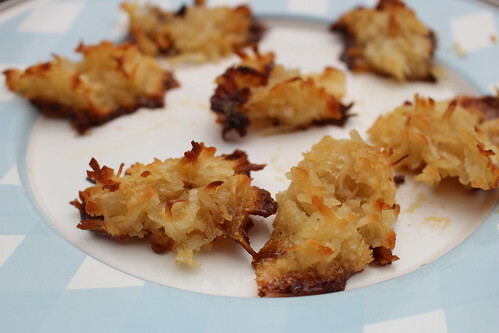 Here's an idea if you have leftover shredded coconut from Easter. You can make macaroons. I made a small batch using a recipe from Christina Lane's cookbook, Dessert For Two. Thanks to Nielsen Massey, I have some almond extract. 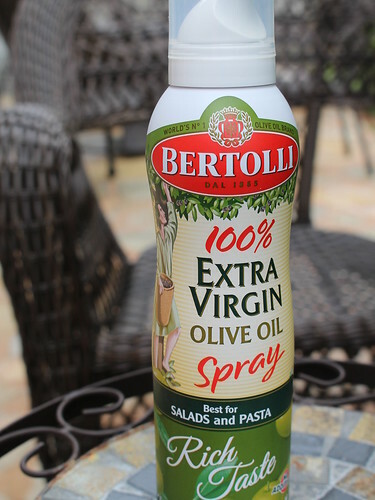 The recipe calls for cooking spray and I used Bertolli Cooking Spray. It is great spray to use. It is a good cooking spray which can be used for both baking and cooking. Olive oil has many health benefits including lowering bad cholesterol and high blood pressure. Although olive oil is mostly known for its use in savory dishes, olive oil is used in cupcakes and even ice cream. For more on macaroons, check out Dan Cohen's cookbook, The Macaroon Bible.